Tomorrow night it’s going down y’all! 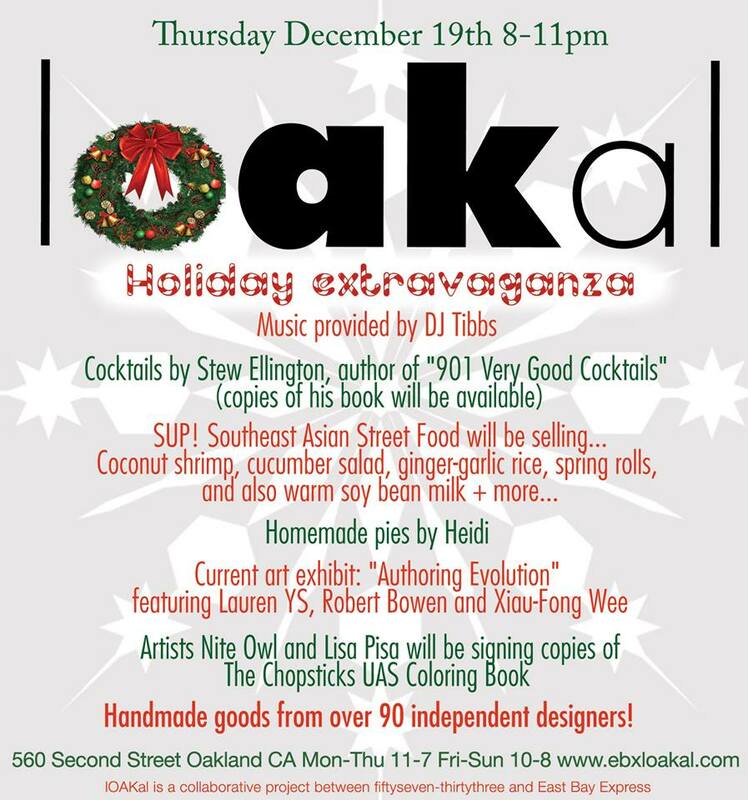 Come enjoy some Holiday Cheer at Loakal in Downtown Oakland. Nite Owl and I will be signing the new Chopsticks coloring book…so get there before we drink all them tasty drinks! =) Check the Loakal website for more information.